From whom did Mary & Joy come? Want to continue your genealogical education throughout the year but have a limited travel budget? 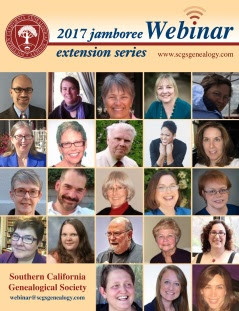 The 2017 Jamboree Webinar Extension Series of the Southern California Genealogical Society offers some of the best offerings from its Jamboree conference presentations throughout the year and makes them accessible to you in your home. 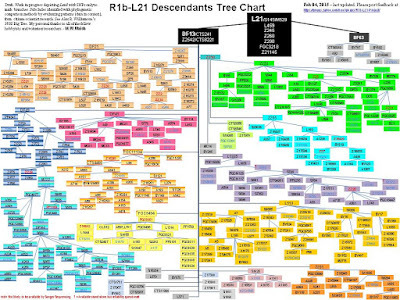 Genealogies record family relationships. Health histories reveal causes of death, disabilities, chronic diseases, or known genetic disorders within families. How can you build an accurate family health/medical history? Should you? Can genealogists lead the way to personalized healthcare/medicine? 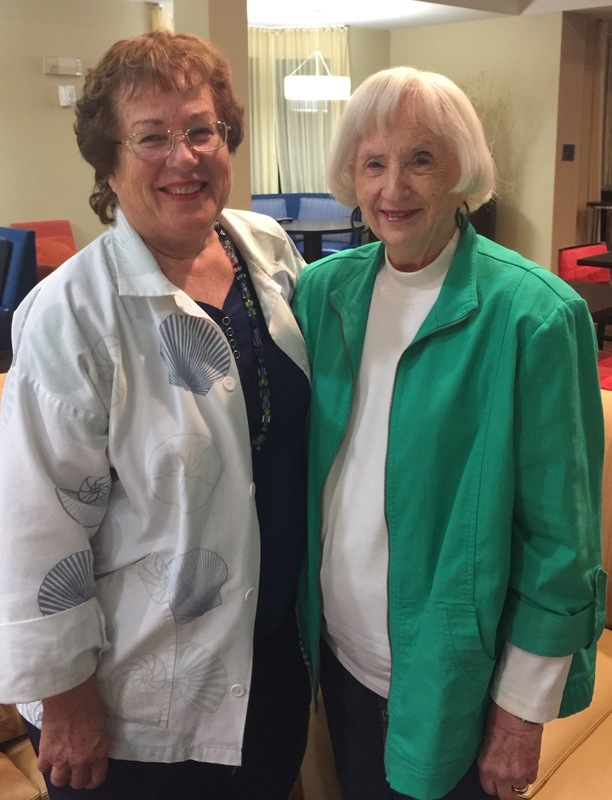 For those of you who are not familiar with Beth's background, here is a summary of why I am delighted to partner with her: Beth Balkite was a certified genetic counselor for over 30 years. She is an alum of the Graduate Program in Human Genetics at Sarah Lawrence College. 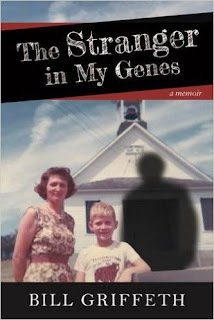 She worked as a genetic counselor in Connecticut at the University of Connecticut Health Center, Yale University, and Norwalk Hospital prior to joining Genzyme Genetics as manager of Clinical Genetics Services in 1993. In 1998 she was hired as Genetics Education Strategy Advisor for GlaxoSmithKline. She has continued as a genetics educator in several capacities before retiring in 2012. 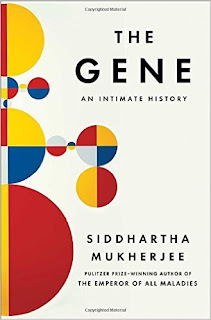 She has studied her own family history for years and is now one of just two genetic counselors to practice and teach genetic genealogy. 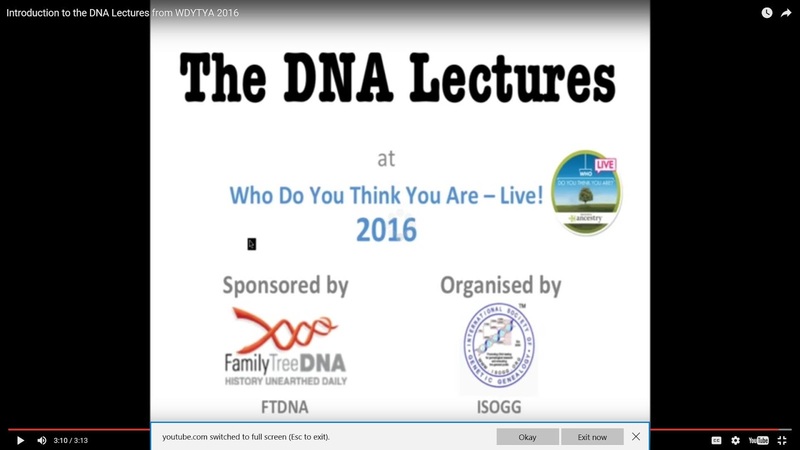 She is an instructor at the Osher Life Long Learning Institute (OLLI) at Duke University in Durham, NC, where she teaches a course “Applying DNA to Your Family Tree.” In the summer of 2016 she taught a session in the Advanced Genetic Genealogy course at GRIP (Genealogy Research Institute of Pittsburgh). Hope you will join us for this presentation and discussion. A full description of the 2017 offerings is now available for this rich and diverse series. 2. Then I would like you to investigate the Hessick side of the family. 3. Then I would like you to look at the Vosti family. 4. Finally, we’d like to research Bob’s family. That was quite an agenda. I was willing to explore what might be involved with priority #1. As I did I noticed there were conflicting opinions as to the name of Mary's and Joy's paternal grandmother. 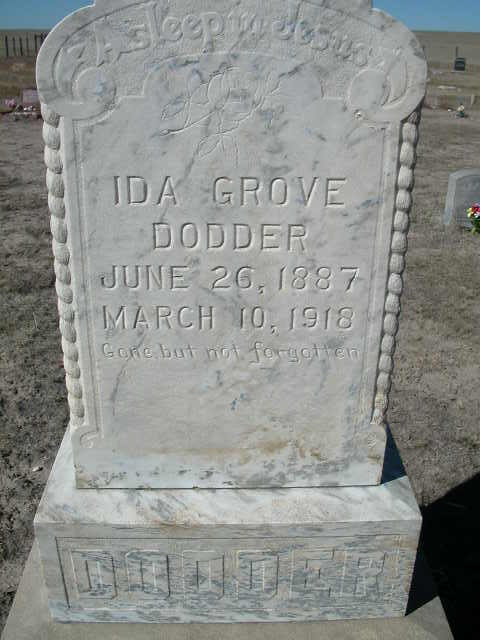 In one source she was listed as Ida Dodder Grove. For short time I entertained the idea that she had remarried a Grove after her marriage to Charles Dodder had ended. That speculation was short lived. 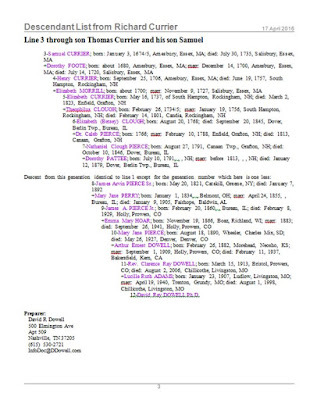 FamilySearch's cooperative and comprehensive Family Tree listed her as Ida Smith and assigned her a long multi-generational list of ancestors. But that Ida Smith was going to turn out to be born about a decade too early. Ida's true maiden name was literally chiseled in stone. 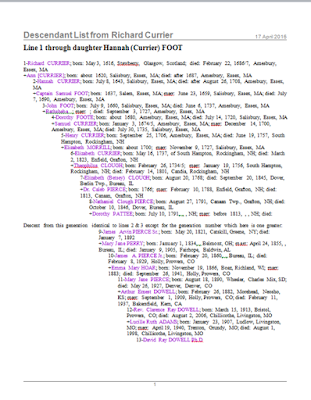 To investigate more deeply what the atDNA of Mary and Joy could tell us, I downloaded their raw results from AncestryDNA and uploaded them to GEDmatch. 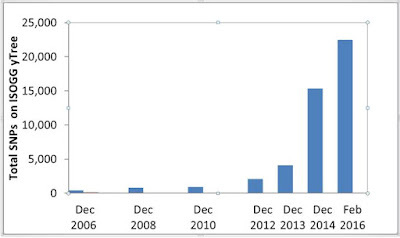 GEDmatch keeps operating on donations and does not charge membership subscriptions for most of its services including the ones I will be discussing here. 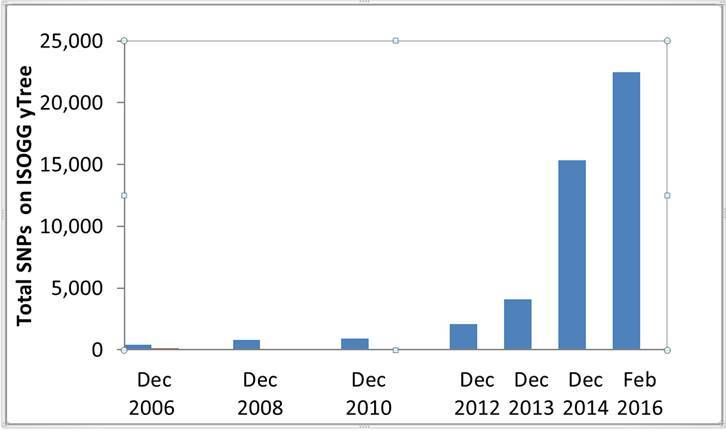 Additional analysis tools are offered to those who donate to keep this volunteer site operating. 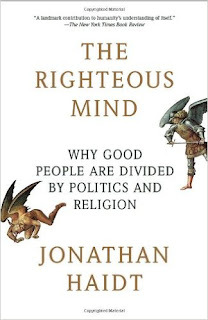 I used the People who match both kits tool to narrow my focus to individuals to whom Mary and Joy both were related through their shared father. When I did so some familiar names began to emerge. Conclusion: The two half-sisters are related to my family on my maternal side. 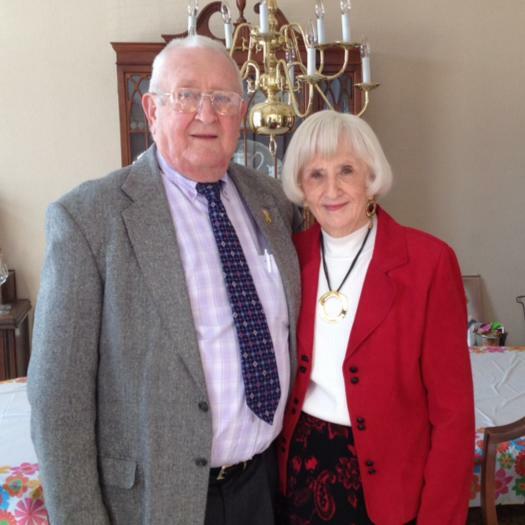 In addition, this relationship was through my maternal grandmother because of the strong match of my 2nd cousin Bob. Now we are making progress. But how far back was our connection? Unsurprisingly the two half sisters showed up as about a generation and a half apart since they only share one parent. 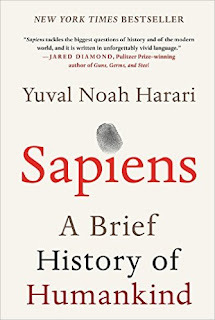 The rest of us showed up about 4 generations removed from the Most Recent Common Ancestor we shared with the half-sisters. Now we are getting someplace. We are looking for someone who is an ancestor of my maternal grandmother who is about 4 generations back. But we still have quite a way to go. My grandmother had a Cashatt father and a Grove mother. Where have we seen one of those names before? 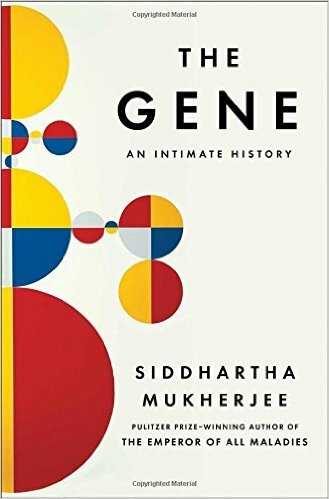 Can atDNA help us more? 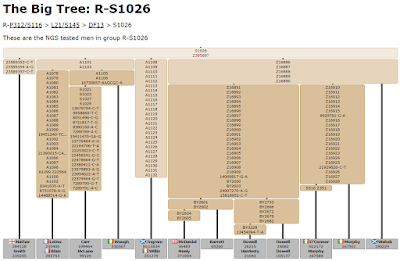 I do have a 3rd cousin who also has transferred her atDNA results to GEDmatch. She does not share my Cashatt ancestors but she does share the Grove line. Do her results help? Actually they do. She shares 32.2 cM with Joy and 15.3 with Mary. Apparently these just missed the threshold to be included in the test I ran above. She is predicted to be 4.4 generations removed from her common ancestor with Joy and 4.9 generations from Mary. This cousin shares Grove ancestors. I think we have a winner here. We still don't know how far back this connection is. 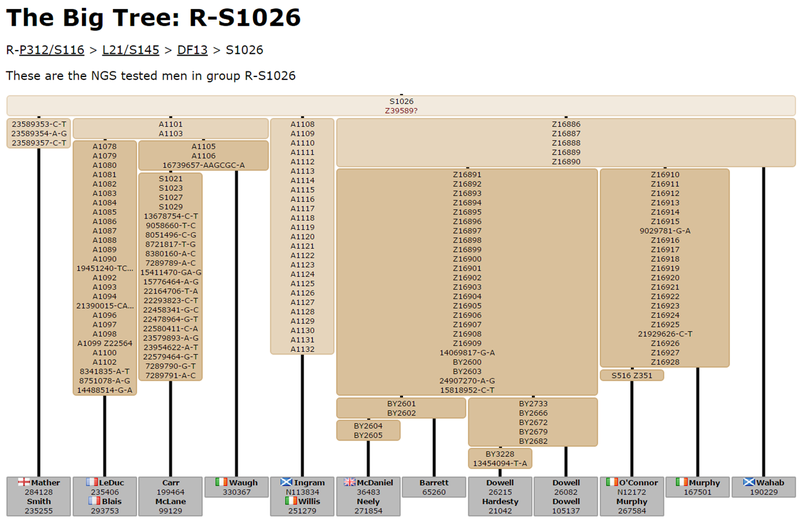 To determine that I had to build back the pedigree tree of Ida. Remember her? After considerable research that included several marriage records, several census records, several vital records, etc. 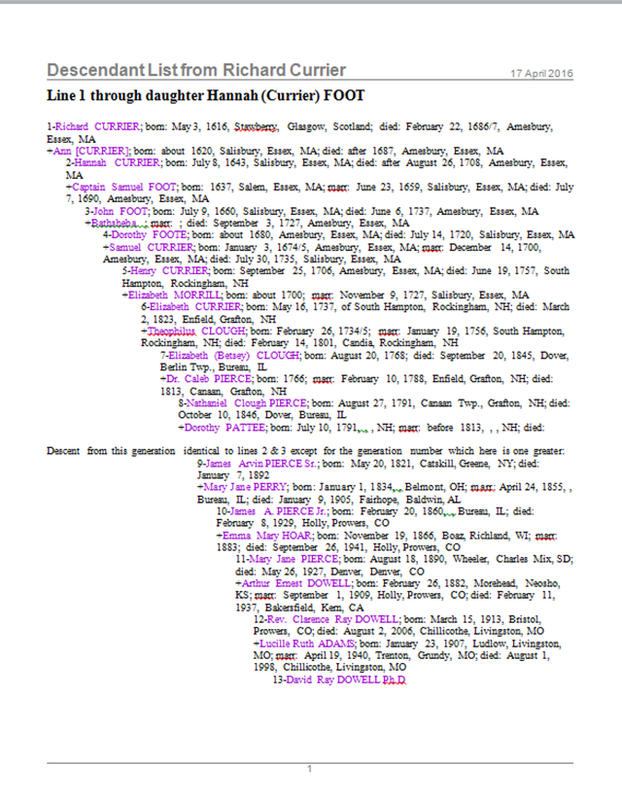 I was able to connect her back to my 3rd great-grandparents. I had been able to confirm my connection to them 11 years ago using both property records and tombstones as the remnants of Hurricane Katrina was bearing down on Ohio; but that is another story for another day. One part of the mystery of from whom did Mary and Joy come has been solved. It was the third full day of Olympic competition in Rio. In the pool Ryan Murphy had just collected a gold medal for the US in the 100 meter backstroke. Michael Phelps swam semis of 200 meter butterfly. Keri Walsh Jennings & April Ross had convincingly defeated the Chinese team of Wang & Yue 21-16, 21-9 on the beach. Although there was more competition on TV, I had had enough for the night and headed to bed. However, I walked past my computer and felt compelled to check my email. 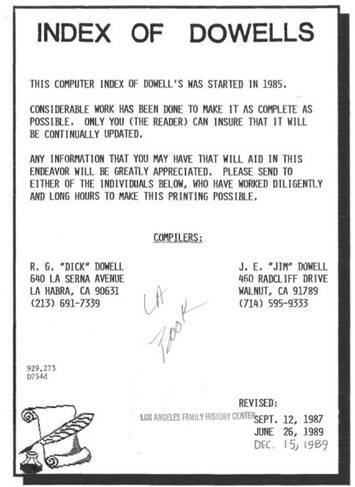 There was an incoming message from a former colleague in California. I had renewed my acquaintance with Mary during a chance encounter in June at a restaurant in Morro Bay, CA, where we were having lunch with several friends and former neighbors. She walked in to the restaurant with a former genealogy client of mine and we got to chatting about using DNA in family history research. I had previously made a cameo appearance in her journalism class to discuss two aspects of intellectual property that I covered in my course “Ethics in the Information Age” – copyright and plagiarism. 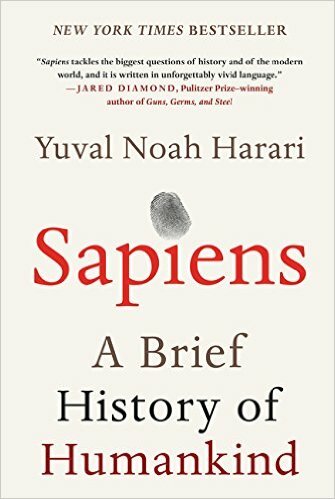 I bought your books and am reading and learning as fast as I can, but I don’t think I can find my sister in less than a year. You are so incredibly fast at this relative hunting do you think you can find her for me? I would be happy to pay for your time but it would never be enough. She is probably 80 by now so time is critical. Thanks for considering my proposal. I’ve visited more than 90 countries and now I’d just like to talk about the dad she never knew with this half sister. 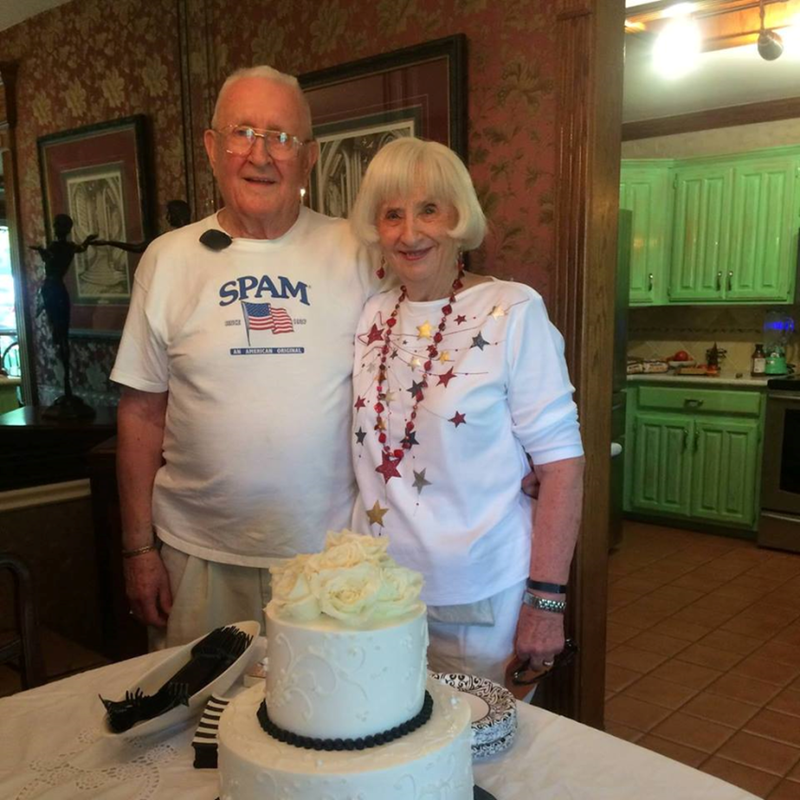 Her family never approved of my dad, the creative inventor, so pushed him away after only a year. Her name is Joy by the way. I made sure I had the codes to access Mary’s recent DNA test results and went on to bed. The search turned out to be easier than any of us expected. 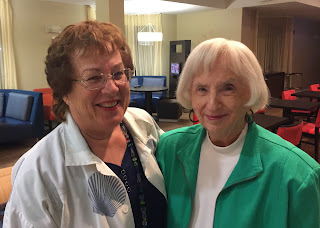 By the time Mary got up and checked her email the next morning, there was a message asking her to call me AND there were two pictures of Joy waiting in her email box. Before noon Nashville time Mary had used one of the phone numbers I had given her to reach Joy and they had talked on the phone for more than an hour and a half. This was to be the first of many, almost daily calls that have followed. It is rarely this easy. Two years earlier when I had unexpectedly gotten an unknown 1st cousin DNA match, it had taken over seven months to figure out which sibling of one of my parents was responsible for my newly discovered cousin Jim being on this earth. That tale has previously been chronicled in this blog. As difficult as Jim’s search had been, even Jim’s search was easier than many. 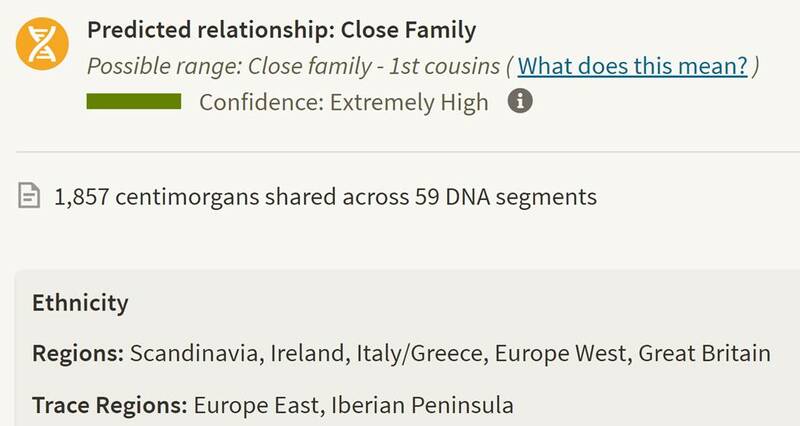 1,857 cM of shared DNA is far too much for a normal 1st cousin match. This almost certainly had to be the half-sister Mary was seeking. All that remained was to locate her. I immediately left a message for this match in Ancestry’s proprietary process of contacting other members. However, because years of experience have taught me that this indirect method of contact is slow at best and often ineffective. It values the privacy of the matches over efficiency of making contact. It also does not always notify the match that a message is waiting online – particularly if the match has not maintained an ongoing Ancestry subscription. Fortunately, in this case Joy had not made a serious effort to hide her identity. I was later to find out that she also had been searching for her half-sister off and on for a decade but there are lots of women named Mary out there. Joy’s Ancestry login was a combination of her initials and married name --not so good for privacy but great for leaving bread crumbs for matches to follow. 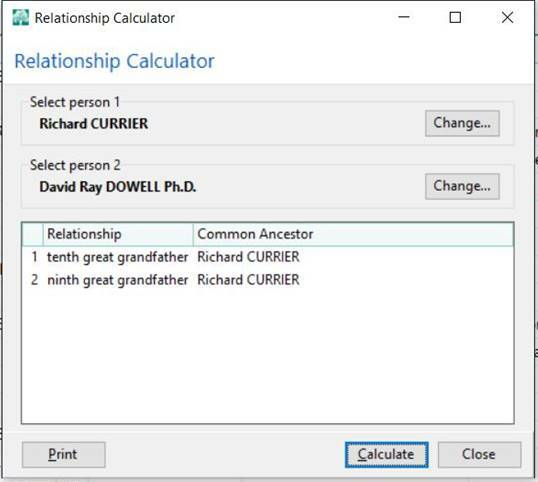 Joy had posted a brief pedigree chart on Ancestry which listed her as “Private” but outed her husband and included a picture of him. After searching several online directories of living people I found a recent address in Texas and three phone numbers listed in The U.S. Public Records Index. I was able to find accounts for Joy on LinkedIn and Facebook. While exploring LinkedIn, I got a popup suggestion of a person who might be able to introduce us. That person was a person very active in helping adoptees find their birth families. This led me to believe that Joy might be actively seeking her biological relatives – an assumption that turned out to be only partly correct. The pictures on Facebook matched the handsome fellow attached to Joy’s pedigree chart on Ancestry. This search was a little more complicated than that but not much. I’ll probably never have an easier case than this. Mary sent me a check with a generous tip added; but I’ll always treasure what was written in the memo section of the check more than the money. It said, “For Great Joy". A big uniting event is planned for early November in Texas. Pictures to follow. Dr. D. made another interesting find as he located the missing half-sister. It connects him to the sisters; but that is another story for another day -- sometime very soon. 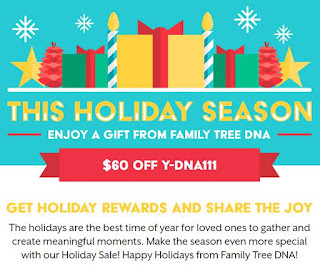 "NextGen Y-SNP DNA Testing Can Illuminate Your Paternal Line"
"When Technology Conflicts with Human Values"
FTDNA project administrators should be getting notices soon that announce the following changes in the threshold Family Finder customers must meet in order to be matched with each other. For those of you who like to monitor how such changes impact the number of matches you are shown, you better document your baseline data quickly. Your number of matches should change soon. 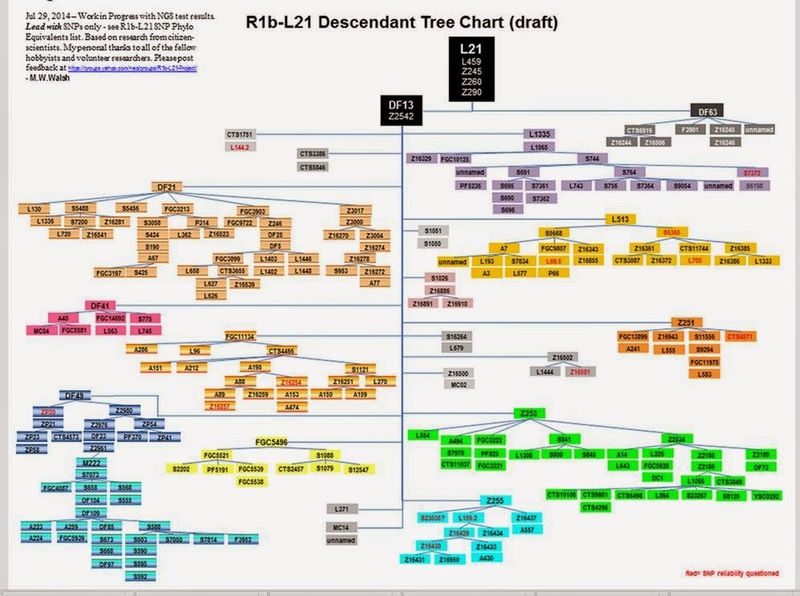 For several years the genetic genealogy community has asked for adjustments to the matching thresholds in the Family Finder autosomal test. After months of research and testing, we have implemented some exciting changes effective very soon. Soon, the following changes will have been implemented to the matching program. ● No minimum shared centiMorgans, but if the cM total is less than 20, at least one segment must be 9 cM or longer. ● If the longest block of shared DNA is greater than 9 cM, the match will show regardless of total shared cM or the number of matching segments. I am assuming that most of you will get additional matches -- particularly those formed by single shared segments between 9 and 19 cMs. 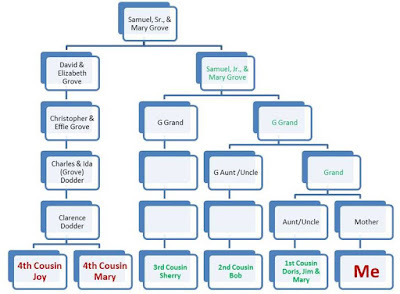 This will not be close relatives but potentially could be with family members in the 4th to 6th cousin range. Such matches have been suppressed because the shared cMs totaled less than 20. They can be detected in comparisons run at GEDmatch on FTDNA data. 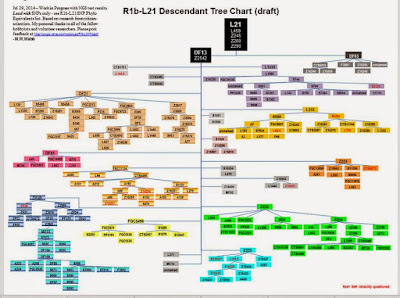 Some die hard genetic genealogists love to analyze the changes in matches reported when adjustments are made such as the one that is imminent from FTDNA. Yesterday Jason Lee reported in a ISOGG Facebook post: "Two thirds of my matches at AncestryDNA are single segment matches under 9 cM." Those wishing to dissect the differences between databases and differences in a single database before and after screening criteria is changed will have a field day as FTDNA rolls out the above change. If you want to be able to compare your "before" matches with the "after" ones, you better move fast. This change may start rolling out very soon. 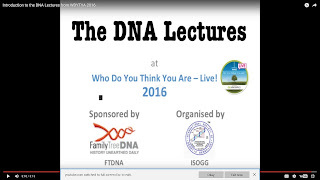 Many of you know that we celebrate DNA Day on April 25th to commemorate the 63rd anniversary of the publication of the Nature article that detailed the structure of DNA. It's a little late to enter ASHG's DNA Day essay contest this year, but you still may want to contemplate your own response to the assigned topic. Read the next paragraph before you guess what my position might be. 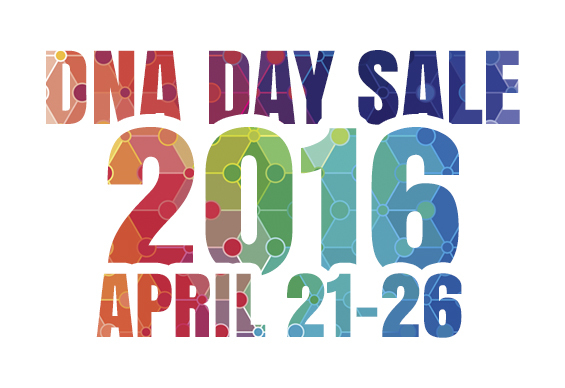 A few of you may know that this day has a special significance for the Dowells of Nashville. 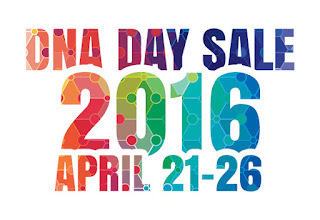 It will be the 2nd birthday of our 2014 DNA Day miracle. 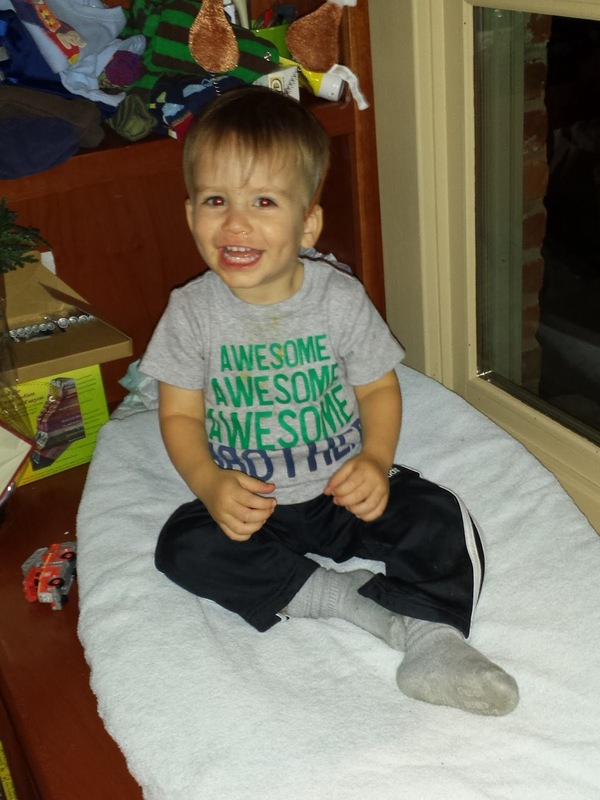 Benjamin was born 9 months AFTER he had part of his DNA screened to select a healthy fertilized egg that did not contain his mother's heritable mutated and potentially deadly Brugada gene. To help us celebrate Benjamin's 2nd birthday this weekend, at least two of the big three US DNA labs are having sales from now until April 26th. 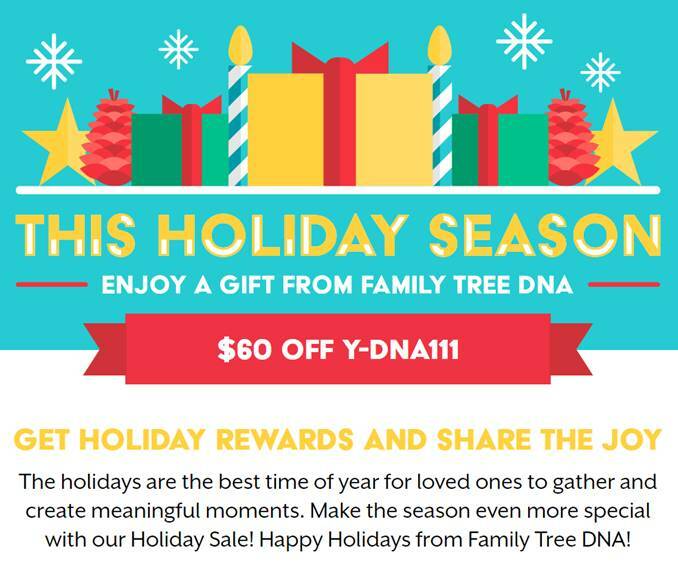 Ancestry's sale price is for the only product in the company's line of DNA tests. 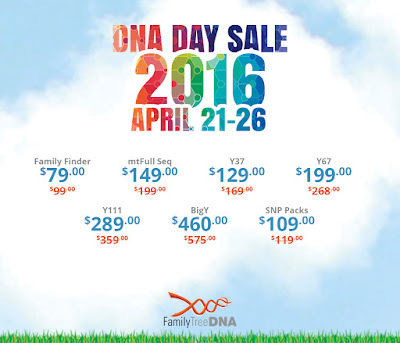 FTDNA's sale includes many but not all of the company's tests -- some of them discounted more than they often are during sales. I'm going to a 2 year old's birthday party this weekend dressed as -- (did you guess it?) -- a carnival barker. So come one, come all and let the spitting and swabbing begin!! 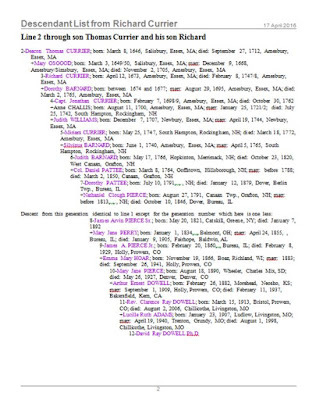 My 10th great-grandfather is my 9th great-grandfather? I was stimulated to write this post by reading Lara Diamond's blog today which has the clever title: My Pedigree Has Collapsed! I figured that anything the Ashkenazi could do us WASPs could do better. Nothing like a little ethnic rivalry. The other granddad of my three Dowell grandsons is Ashkenazi. Yes, Nathaniel Currier of Currier and Ives fame was a 4th great-grandson of immigrant Richard. Thank you for asking. But back to my main point. If you insist in trying to read all the details, your browser may open a somewhat clearer image if you click on each page. All the individuals below the line of type projecting to the left halfway down each page are identical in each line. Only their generation number is different. 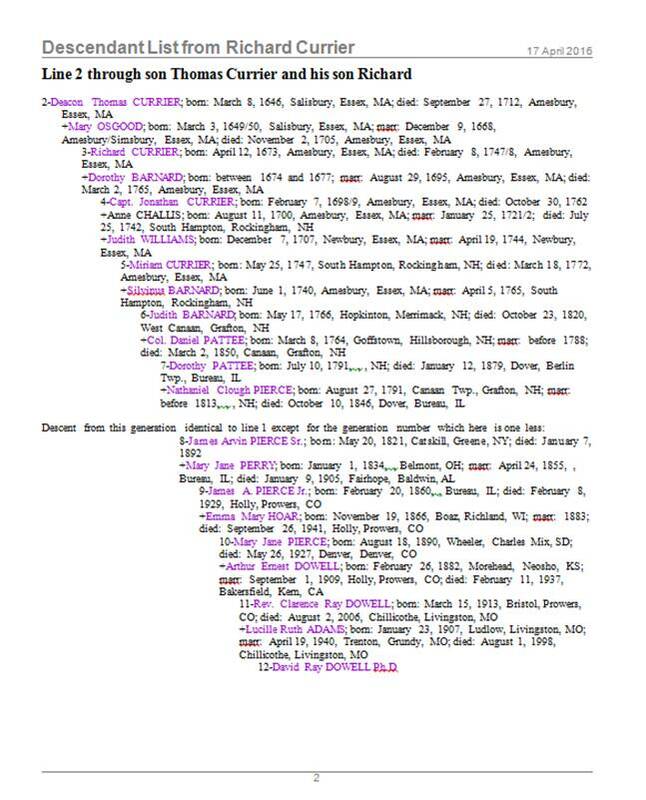 So one could theorize that I should have inherited some atDNA from these early Puritan ancestors since my pedigree collapsed under their weight. But that was a long time ago and many generations to pass the segments down. By now they would be well traveled, well worn and often recombined. Thank God for those thorough and well preserved New England vital records. 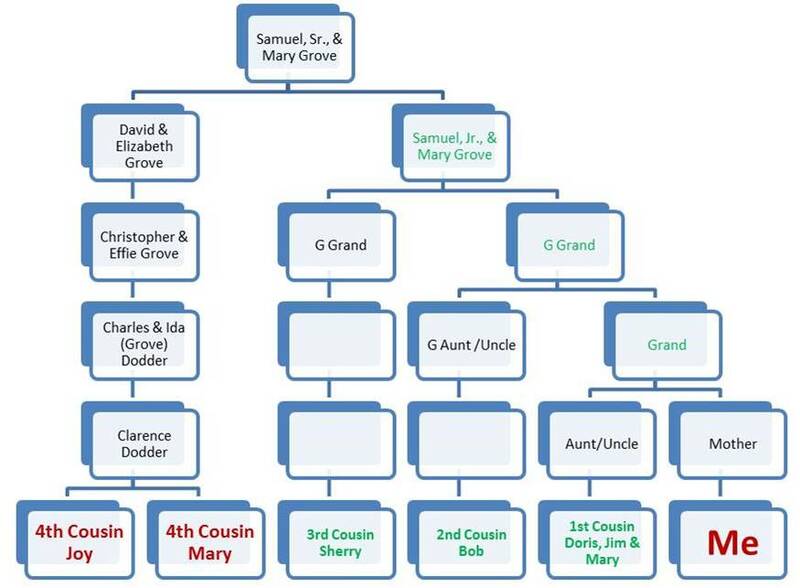 As a result I know that my 10th great grandfather is also my 9th great grandfather is also my 9th great grandfather.